Description: Park on the south side and enter by the doors under the covered car port. There are many glass doors- the one on the left will be open. We will be in a room just inside the doors to the right. My favorite educational program! In my opinion EVERYONE should go... parents, grandparents, babysitters, friends, peers, teachers, coaches..... It's called Peer Presentations. Two moms, Anne and Kelley, come and share what they present to their son's classrooms to help their peers learn a little more about them, about Down syndrome, and that we are more alike than different. It's awesome!! They have fun activities that explain hypotonia to kids so that they get it. All the sudden it makes sense why some movements may look different, why it might be hard to understand speech, and ideas of how to help kids overcome these challenges together. Best of all, it opens up communication! They explain Down syndrome simply and have tips on communicating and reminders to help our kids but not do things for them. The presentation can be adapted to school settings, sports teams, church classes, and families. They are willing to share their materials, powerpoint, favorite books and visual aids, so you can easily tailor a presentation for your kiddo. AND the DSCNWA has a library where you can checkout most of the supplies they use. I went when Bradley was only a few months old and LOVED it! I've used it in a primary setting at church to teach 90 kids about Down syndrome and Autism in our congregation, and plan to go into Bradley's classrooms every year once he goes to school and so something similar. Really, this is best! Come and learn! You will LOVE it! 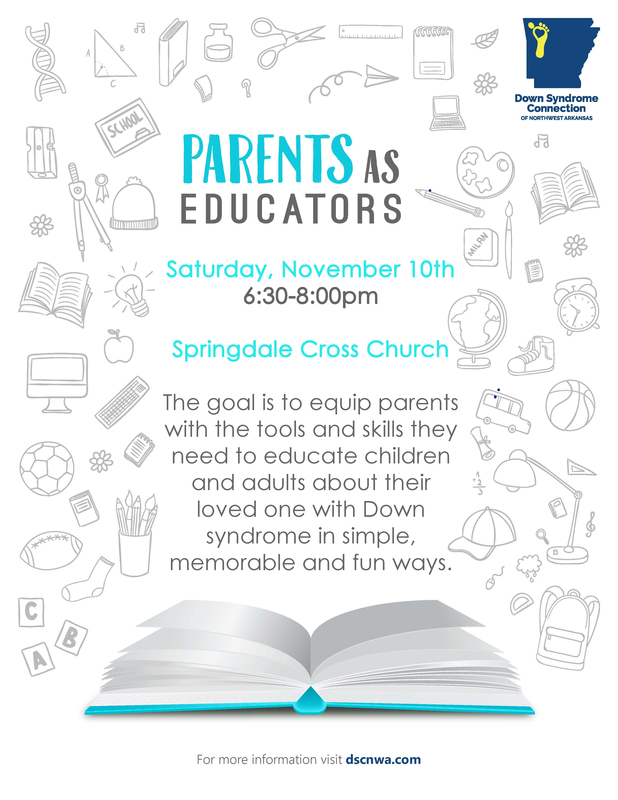 Invite teachers, friends, anyone that you want to understand more about Down syndrome- how to teach, how to be a friend, how to communicate better. This form stopped accepting submissions on November 10, 2018 6:30 pm CST.